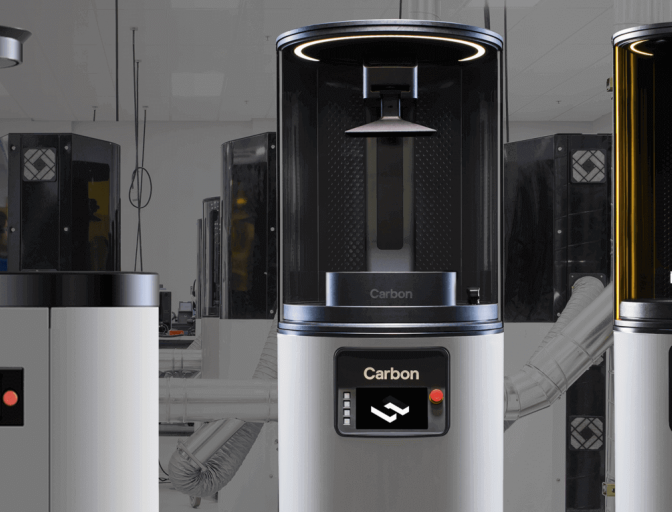 Carbon® uses Digital Light Synthesis TM technology. This is revolutionary technology which uses digital light projection, oxygen permeable optics and programmable liquid resins to produce parts with excellent mechanical properties, resolution, and surface finish. This breakthrough method means we can make long-lasting parts with incredible mechanical characteristics. Carbon® Technology is used for the printing of Adidas shoe soles. Also available in this technologies for automotive sectors, aerospace industry, medicine, luxury and mass retail.